Fondly known as "Music City," Nashville offers a wealth of beautiful locations and venues for both intimate and grand weddings. 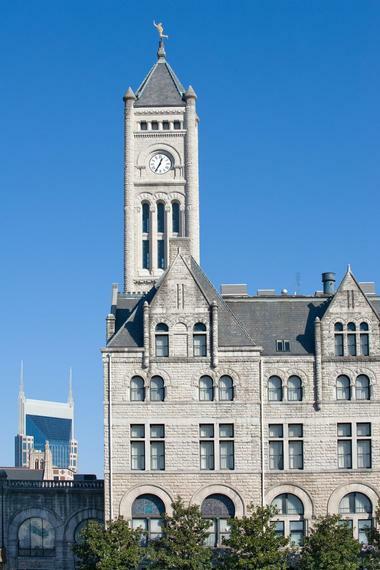 From the elegant Romanesque architecture of the Union City Hotel to the stylish and sophisticated spaces of the ServiceSource Building's Nashville City Club, Nashville has a venue for every taste and occasion. Offering award-winning cuisine, excellent services, and professional staff that contribute towards making every wedding memorable, Nashville comes to the party when it comes to fabulous destination weddings. Situated above the bright lights of Lower Broadway in downtown Nashville, Aerial is a private rooftop event space that offers a stylish space and relaxed setting for functions of up to 225 guests. The transformable space can be customized for any event, from weddings and receptions to rehearsal dinners and birthday parties for up to 150 guests. Owned by Nashville-based Strategic Hospitality, Aerial features a 2,000-square-foot glass-enclosed space surrounded by a beautiful outdoor patio with a full bar and spectacular cityscape views. 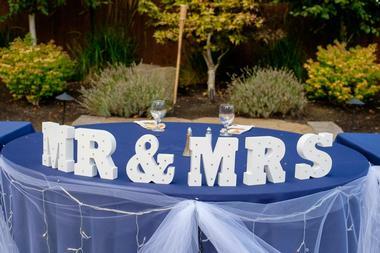 The Aerial offers a variety of services, including preferred vendor lists and catering packages. 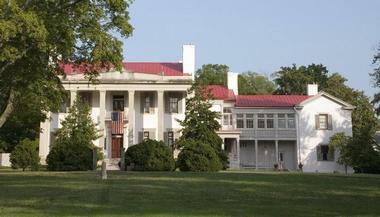 Founded in 1807 by John Harding, Belle Meade Plantation is a 5,400-acre estate with a thoroughbred horse farm, an original homestead, a deer park, and a Greek Revival mansion, which functions as a museum dedicated to the preservation of Tennessee's rich Victorian architecture and history. The Belle Meade Plantation can be hired for celebrations, such as weddings and receptions, and offers a variety of venues, including the Boxwood Garden for outdoor gatherings and the Carriage House for indoor ceremonies and receptions. 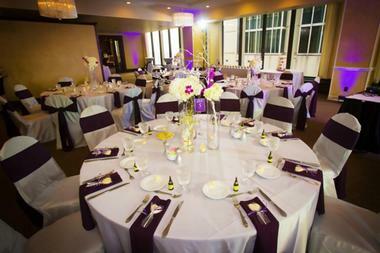 Additional services include décor and equipment, bridal suites, award-winning catering, and ample parking. Belmont Mansion is a beautiful Italianate villa built in the mid-19th century that offers a stunning venue for small, intimate elopements or large, elegant weddings. Exuding exquisite Victorian architecture and the elegance and charm of a bygone era, the Belmont Mansion features 19,000 square feet of space, including 36 rooms, an art gallery, a bowling alley, and lavish gardens. Many of the rooms within the mansion have been meticulously restored and feature original artwork and furnishings, creating intimate enclaves in which to celebrate. All functions include services such as covered chairs, tables, dressing rooms, a gift table, a grand piano, a photographic shoot, state-of-the-art sound systems, and a professional event planning and coordination teams to take care of every detail. Cedarwood is a picturesque 50-acre historic estate tucked away in the Tennessee countryside that presents an elegant and stylish venue for weddings, receptions, and intimate ceremonies with multiple spaces to accentuate any celebration. 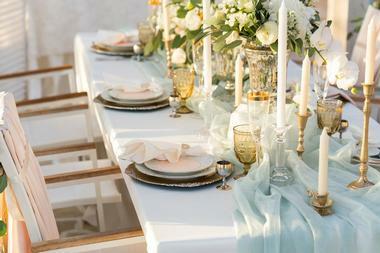 Cedarwood provides a professional event planning team that coordinates all the details of a variety of functions, along with premium services such as event styling and design, customized décor, and essential amenities like catering, invitation design, tailormade cakes, and floral arrangements. Surrounded by exquisite gardens, a nature reserve, and tranquil Mooncake Lake, Cedarwood is listed on the National Historic Register of Places and offers a magical venue for an unforgettable wedding. Located on the historic Cheek Estate in Nashville, Tennessee, Cheekwood is a 55-acre botanical garden and art museum that offers a beautiful and unique venue for destination weddings and other special celebrations for up to 300 guests. 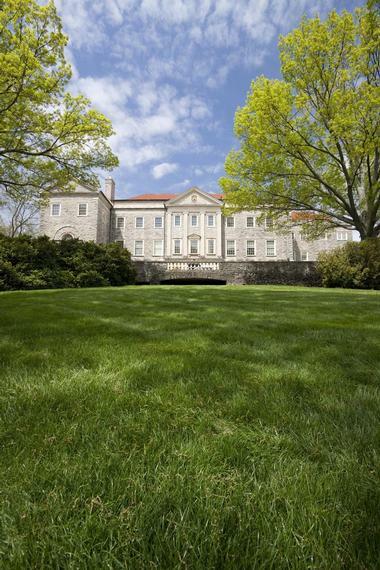 Built in 1929, Cheekwood Estate is home to a variety of indoor and outdoor venues, including the Wills Perennial Garden, the Reflecting Pool, the Howe Garden, the Herb Garden, the Japanese Garden, the Burr Terrace Garden, Massey Hall, and the Cheekwood Mansion. Premium event services include membership to Cheekwood, a professional event supervisor, a ceremony rehearsal, a preferred vendor list and vendor referrals, and the use of any of the venues on the Cheekwood property. Ample parking is provided for guests. Tucked away just a short drive north of Nashville on beautiful rolling farmlands, Drakewood Farm is an idyllic country setting for weddings and special celebrations. The historic 1850 antebellum home is surrounded by 40 acres of pristine landscapes and features three farm-style barns for both indoor and outdoor functions and events. Tailormade packages and services include award-winning catering, preferred vendor lists for floral arrangements, live entertainment, photography, table décor, and more along with professional event planning and management teams to ensure everything runs smoothly on a special day. Built in 1967, the East Ivy Mansion is an Italian Renaissance-style mansion with 44,000 square feet of indoor and outdoor space for all types of gatherings from weddings to reunions. Nestled behind high walls and surrounded by lush tropical gardens, the East Ivy Mansion features a grand marble-floored atrium, an elegant dining room and comfortable living room, and a rustic walnut library. 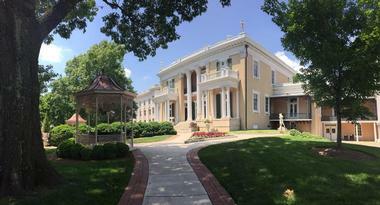 The mansion offers luxurious guest rooms for the bride and groom and their wedding party as well as a grand winding staircase for unforgettable entrances. The property also boasts a sparkling swimming pool with walk-in cabanas and two gardens with waterfalls and koi ponds for magical outdoor ceremonies or receptions. The War Memorial Auditorium has hosted a wide variety of events and performances ranging from weddings to corporate events for the past 90 years. 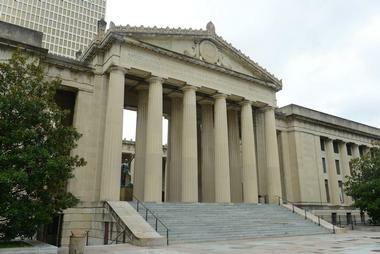 Built in 1925 and located in downtown Nashville, this unique multi-purpose space features a crescent-shaped stage where live performances can be staged as well as an open-plan area that can accommodate up to 400 guests for seated dinners. Boasting classic architecture with elevated ceilings, hardwood floors, and a dance floor, the space offers an open-floor configuration that can accommodate banquet or cabaret seating with customized décor and soft lighting. 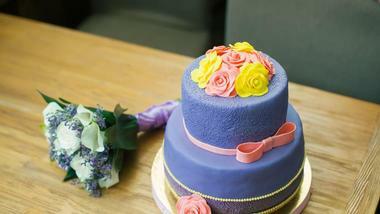 Unique wedding packages include specialized services such as gourmet catering, preferred vendor lists, and professional event planning and management teams to take care of all the details. 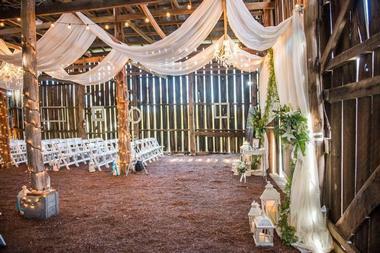 Located in Nashville, Tennessee, The Loveless Barn is a unique industrial chic venue for wedding receptions and ceremonies. The beautifully appointed space features a variety of venues ranging from a contemporary barn with classic architecture to the Harpeth Room for intimate ceremonies or receptions. A tranquil outdoor ceremony area situated adjacent to the barn and known as the courtyard features stone flooring and a small stage and is surrounded by trees and hedges. All-inclusive wedding packages on offer include on-site catering and personalized menus by local company Loveless Events Catering, along with lighting, music, and other services provided by local preferred vendors. All venue rentals include glassware and dinnerware, a full bar and bartender, staging and audiovisual equipment, a sound system and sound technician, and a bridal room. Offering both a community of businesses and a functional and unique event space in the heart of Music City, Houston Station is a historic space that can accommodate up to 300 people for seated dinner receptions or casual cocktail parties. Seamlessly blending 1800s industrial chic with 21st-century amenities, the rustic space features hardwood floors, thick timber beams, exposed brickwork, and fantastic acoustics for live music. 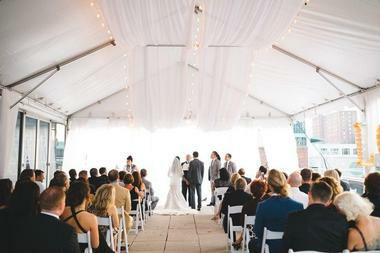 The Houston Station has flexible spaces to accommodate for all tastes, and which can be transformed from ceremony to reception areas in moments. 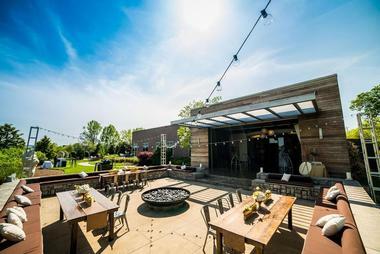 The venue offers bride and groom suites and an open vendor policy and also features a casual coffee lounge for rehearsal dinners, bridal brunches, and cocktail hours. Located in the quiet area of Lebanon just outside of Nashville, Legacy Farms Historic Manor and Event Center is a beautiful 22-acre farm that provides a rustic setting for weddings and receptions. This unique event venue features a range of elegant places from impeccably designed gardens and picturesque lawns with sprawling oak trees to the historic Victorian manor house with its beautiful interiors. 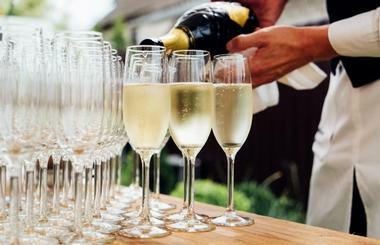 Both indoor and outdoor events can be accommodated, with a selection of weddings packages from which to choose. 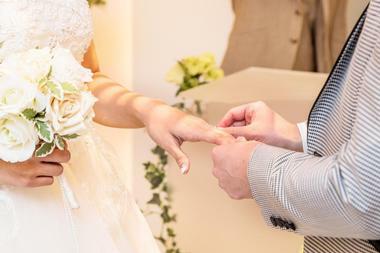 Standard services and amenities with the hire of the venue include a dedicated wedding planner and coordinating assistant to take care of all the details, complete set-up and clean-up of the site, guest and service tables, ceremony and reception chairs, and private secure parking for guests. Millennium Maxwell House Nashville features 26,000 square feet of flexible space for all types of events, from corporate gatherings to romantic weddings. A host of venue options includes the elegant Crown Ballroom with spectacular panoramic views of the city and the Grand Ballroom, which can accommodate up to 600 guests in a beautifully refined and regal setting. The open-air pavilion can seat up to 200 guests for an outdoor ceremony and features a landscaped walkway and lush green lawns for an alfresco-style reception. Additional services provided by the venue include on-site catering, professional wedding planning and management teams, event set-up and clean-up, décor, music, lighting, and other vendor-related services. Located on the 20th floor of the ServiceSource Building in downtown Nashville, the Nashville City Club is a premier membership club that offers private dining and event space with floor-to-ceiling windows and spectacular panoramic skyline views. Boasting a rich and celebrated history of more than six decades, the Nashville City Club features several elegant and versatile event spaces with spectacular views that can comfortably accommodate up to 300 guests along with a team of professional culinary and event professionals, who create tailormade menus and take care of every detail. Additional amenities and services include all-inclusive catering and beverage packages, state-of-the-art audio visual equipment and sound systems, themed décor, and experienced wait staff. The Noah Liff Opera Center is a stylish contemporary arts and entertainment facility in the heart of Nashville that features over 26,000 square feet of state-of-the-art space for private event rentals. Designed by renowned architect Earl Swensson, the center features four versatile event spaces that vary in size and aesthetic and cater for all types of events, from intimate ceremonies of just a few guests to grand receptions of up to 300 people. Venues include the Ragsdale Family Grand Lobby, the Opera Studio, the First Foundation Board Room, and the Sue and Earl Swensson Patron Room and have full service bars, stylish décor, and radiant lighting. Special amenities and services at the center range from fully equipped catering kitchens and elegant tables and chairs to state-of-the-art audiovisual equipment, lighting, and sound systems. 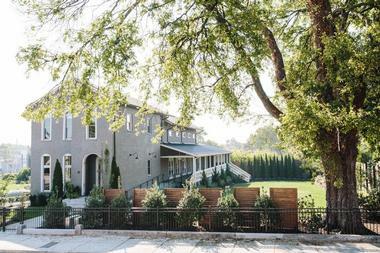 Located in West Nashville, OZ Arts Nashville is a unique events venue that showcases innovative contemporary art experiences that can also be hired to host memorable celebrations such as weddings, ceremonies, and receptions. Located in the former headquarters of CAO Cigars, OZ Arts features a dramatic lounge with retractable glass doors that open onto a patio with a romantic fire pit and spectacular scenic views. Infinity Events & Catering provides award-winning catering services, and the lounge boasts a 360° glass and cedar space that is perfect for intimate gatherings. 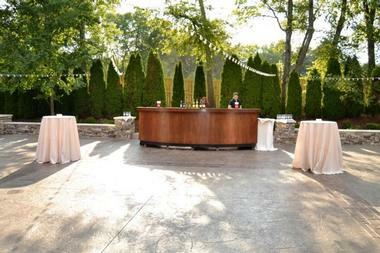 Tailormade services include state-of-the-art equipment, professional wait staff, and an event planning team. Riverwood Mansion is a historic mansion in the heart of the artistic and creative East Nashville community that offers a range of flexible event space and all-inclusive packages. 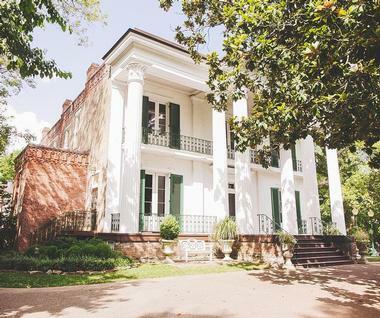 Warm and welcoming, Riverwood Mansion is set on 8 acres of beautiful gardens and grounds, is surrounded by towering magnolia trees, and features elegant marble fireplaces, crystal chandeliers, and breathtaking Greek Revival architecture. 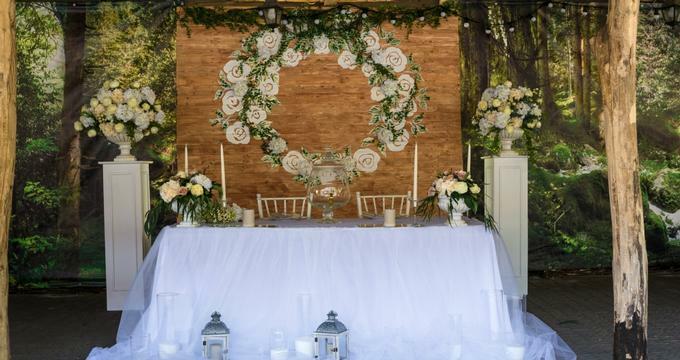 An on-site pavilion can accommodate up to 300 guests for an outdoor ceremony or reception, while flexible interiors offer stylish backdrops for classically southern video shoots and photographic opportunities. 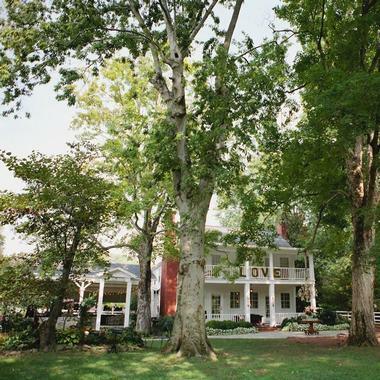 The historic Spring Haven Mansion is a beautiful plantation home in Hendersonville that presents an attractive destination for weddings and receptions. 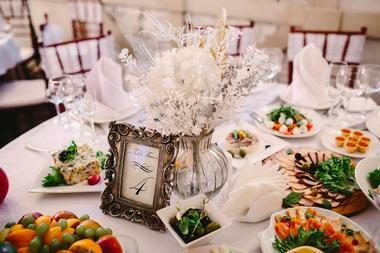 Ideal for all types of celebration from ceremonies and receptions to bridal showers and rehearsal dinners, Spring Haven Mansion offers all-inclusive packages, which include table décor and linens, floral arrangements, award-winning catering, a customized cake, valet and shuttle services, and a professional event planning team. Facilities at the historical plantation at Spring Haven include a stunning 3-acre property with a barn, log cabin, smokehouse, and spring house along with a patio, screened-in porch, and a burbling creek. Built in 1874, The Bell Tower is a historic church that has been transformed into a modern open-plan event venue. 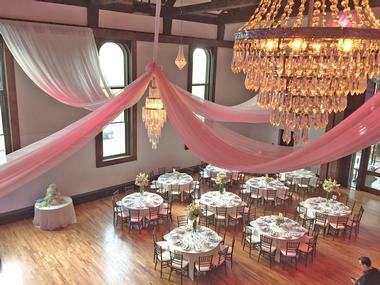 Flooded with natural light and featuring original wooden exposed beams and an elegant upper-level mezzanine, the Bell Tower can accommodate seated dinners for up to 400 guests and cocktail-style receptions for 700 people. The venue offers a variety of services, including an on-site kitchen, in-house catering and handcrafted menus by Infinity Events & Catering, lighting and audio-visual services, and professional wait staff. An experienced event planning team is on hand to take care of every detail, and the outdoor patio is ideal for alfresco-style parties. 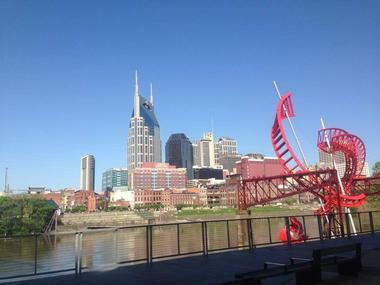 The Bridge Building is a historic landmark situated on the newly redeveloped riverfront in downtown Nashville that offers an upscale destination for a variety of special celebrations. The Bridge Building features an array of customized areas for all types of occasions from ceremonies to receptions, including a tranquil rooftop patio with a dance floor and spectacular panoramic views of Nashville. The venue offers a range of services, such as an on-site kitchen, in-house catering and handcrafted menus by Infinity Events & Catering, lighting and audio-visual services, and professional wait staff. An experienced event planning team is on hand to take care of every detail as well as customize any wedding to suit every need. A famous Tennessee landmark and one of Nashville's leading wedding destinations, The Chapel is designed to host a variety of functions and events from weddings and parties to ceremonies and cultural events. The Chapel features classic architecture with high vaulted ceilings, large windows that flood interiors with natural light, a staging area, and beautifully manicured gardens and grounds. The Chapel can accommodate more than 100 guests and offers all-inclusive packages and a range of personalized services, such as preferred vendor lists, upscale lighting and sounds systems, and a professional event planning and management team. Set among the buildings of Nashville's downtown cityscape and a short way from the famous honky tonks of Broadway, The Cordelle is modern space with vintage interiors, offering an ideal location for a broad range of events. Distinct venues at The Cordelle include the Great Hall, the Victorian, and the furnished loft, designed with style and versatility in mind and feature a spacious Southern-style covered porch and surrounded by beautifully manicured gardens and grounds. Additional amenities and services at The Cordelle include patio market bistro lights for a twinkling effect, outdoor heaters for cooler weather, a lovely garden arbor, and a sound system with speakers and a wireless microphone. 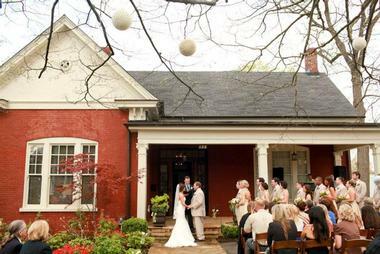 Built in 1874 by Robert Bradley, The Red House is located just one block from the square in historic downtown Franklin and serves as an appealing venue for special celebrations, including ceremonies, wedding receptions, rehearsal dinners, and wedding showers. The beautifully preserved 140-year-old Franklin landmark boasts a historic exterior and modern interiors adorned with authentic rock and roll memorabilia that will give any event a distinctive character with a touch of Southern charm. 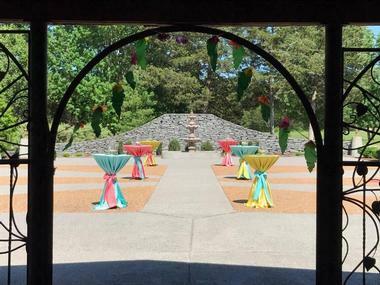 Rental of the venue includes exclusive use of The Red House and grounds, private parking, tables, chairs and basic linens, the use of a bridal room, and a professional event coordinator. 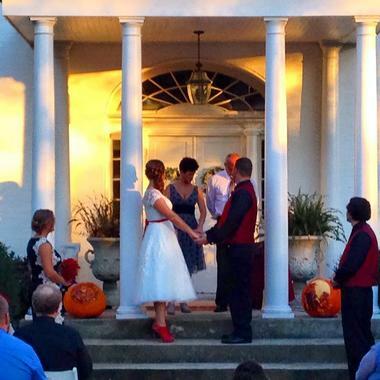 Located just 1 mile south of downtown Nashville, The Timothy Demonbreun House is an exceptional venue for memorable weddings and other special celebrations. 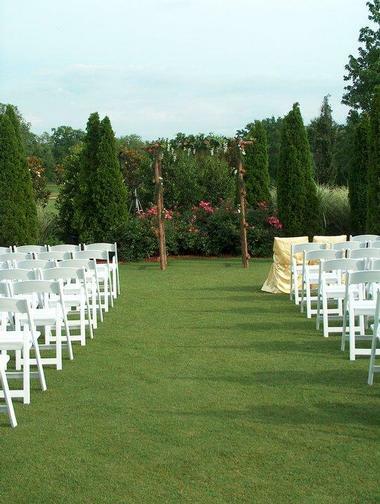 The beautiful venue can accommodate up to 85 guests for indoor and outdoor Southern-style weddings as well as rehearsal dinners and receptions and offers luxurious overnight accommodations for the bridal party and guests. The elegant glass-enclosed Fleur de Lis Room provides a fantastic wedding reception party room with a state-of-the-art commercial stereo/laser light system and an original, restored antique Carriage House Bar. The Timothy Demonbreun House provides premium catering services, full bar services, professional wait staff, and a professional wedding planning and management team. Union Station Hotel is a beautifully restored, century-old historic hotel in the heart of downtown Nashville that offers luxurious accommodations, award-winning dining, and flexible spaces for distinctive functions and events. The iconic landmark blends elegant Romanesque architecture with modern conveniences and features eight areas of varying detail and size for weddings, receptions, ceremonies, and other special celebrations. An atrium lobby boasts exquisite architectural detailing and is ideal for grand receptions and cocktail parties, while six smaller meeting rooms can be transformed into intimate areas for ceremonies and casual gatherings. Additional amenities and services include all-inclusive catering and beverage packages, state-of-the-art audio visual equipment and sound systems, themed décor, and experienced wait staff.